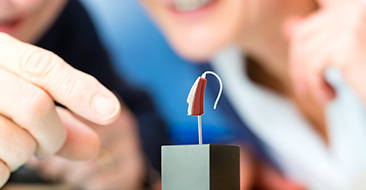 Advanced Audiology Associates, Inc. is a full-service hearing care practice. We can provide physician-ordered diagnostic hearing testing, hearing aid evaluations and consultations, advanced hearing aid technology, hearing aid accessories, batteries, and assistive listening devices. We have the knowledge to know when a referral to another specialist is warranted, and the expertise to recommend the most appropriate hearing solution for each patient. Advanced Audiology was established in 2000 by Dr. Tiffany Pfleger and Dr. Leanne Fletcher. Dr. Pfleger and Dr. Fletcher are both licensed audiologists with a combined experience of over 30 years. Offering a complete line of the most advanced hearing care products by several different manufacturers, you can be sure that you will be given the most appropriate options for your lifestyle and hearing loss. Most insurance plans are accepted and can be billed; however, it is recommended that you check with your plan directly to verify coverage. Walk-ins are welcome in both offices, but appointments are encouraged to avoid long wait times. If you would like to make an appointment, please call our offices: Yarmouth Port 508-385-5222 or Mashpee 508-539-9780. Advanced Audiology Associates, Inc. does not collect personally identifiable information about individuals except when such individuals specifically provide such information on a voluntary basis. For example, such personally identifiable information may be gathered from a contact form, the registration process for a complimentary screening or hearing study. Personally identifiable information on individual users will not be sold or otherwise transferred to unaffiliated third parties without the approval of the user at the time of collection. At such points of collection, the user will have the opportunity to indicate marketing information about other products, services and offerings from us and/or any third parties. 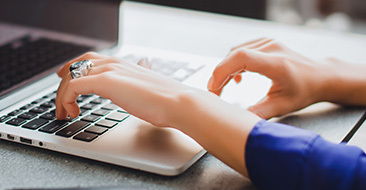 Further, notwithstanding any opt out of promotional information by the user, we reserve the right to contact a subscriber regarding account status, changes to the subscriber agreement and other matters relevant to the underlying service and/or the information collected.